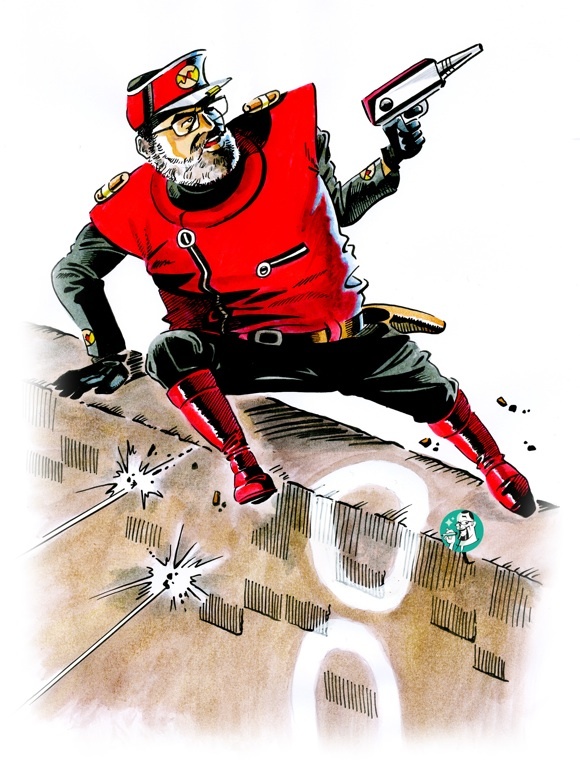 Just got this gorgeous illustration of me as Captain Scarlet from artist and pal Richard Smith. Rich is going to be doing a whole series of illustrations of me as my favorite characters for this website, which amazes and delights me. Obviously, I’ll be sharing these here as he sends them along. I love that he did it in the style of Captain Scarlet comic artist Mike Noble! Make sure to check out his website at http://www.richsmithillustration.com and tell him I sent you!